I'm all in favor of TLG updating the Harry Potter sets, especially the ones from the first three movies. Quite a few of the old minifigs don't resemble their actors (Sirius Black, Vernon Dursley, Peter Pettigrew, teenage Tom Riddle, Peeves, Crabbe). Some of the locations could use some polish too like the Chamber of Secrets, the chess room, the bathroom from the troll encounter, etc. G2 was the only original theme we know for sure that actually flopped. Really? I though everybody talked about them! I’ve rarely seen anyone owning the sets, much less heard people talk enthusiastically about them, like, anywhere. I remember Galaxy Squad having a passionate if small community back on the Lego Message Boards when those existed, but it always seemed pretty niche. Hardly a booming commercial success, that's to be sure. I was late to the game on Galaxy Squad, but the few sets I picked up were great in my opinion. I loved the aesthetic of the aliens. Galidor was licenced. Not jumping into the argument, just putting it out there. I’ve got all of them except the Bug Obliterator, and with some slight modifications, they’re really good. I'm gonna be honest, I never saw any Galaxy Squad sets but they don't look to bad, not stellar, but not bad. Monster fighters looks ok but I would have preferred a more classic-y monster theme. One with a large scooby doo still haunted victorian-esque or ye old style house. I saw a listing on Bricklink for a sealed Star Slicer for 20$... Do you recommand that set? Do you think I should get it? I don't think anyone was arguing that Galaxy Squad was bad; just that it likely didn't sell well, resulting in it dying off pretty quickly. It lasted for two waves... compared to other themes that lasted for only one wave. Back then all themes were short lived, not because they sold well or not, but because that was the way things were... They make a theme, if it sells incredibly well than extend it's run, if it's sells normally than make something else after one or two waves. It's just the modern day system were if a theme only ends if it doesn't sell well. compared to other themes that lasted for only one wave. Most themes sell for two. a large scooby doo still haunted victorian-esque or ye old style house. That's the one! More of this please! Lego jump on this, I would pay for a line of houses or things like this. 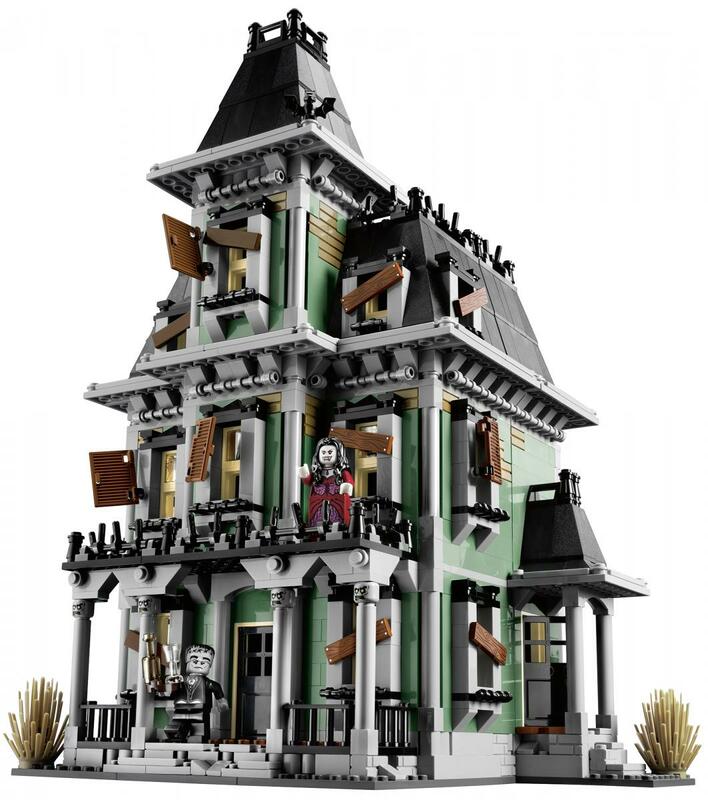 Without the hunter/fighter bit, just some classic haunted house/castle/laboratory sets. The Star Slicer’s one of the best in my opinion. The only problem is that the legs don’t really touch the ground, and it kinda just sits on its abdomen. To fix this, you just remove the dark grey technic pieces on the back legs and replace them with these (https://www.bricklink.com/v2/catalog/catalogitem.page?P=32016) facing downwards. Tho its inspired by Monster Fighters and Scobby Doo, and its only coming this summer, if I could I would stop this in production. I overall don't like themes like this. Overall, from what I've seen it looks interesting but I'm still uncertain until I see more images or reviews. Maybe I'm blind.